This is an understated and perhaps underrated release from Echoplex, who since went on to develop a more orchestrated and less minimal sound. 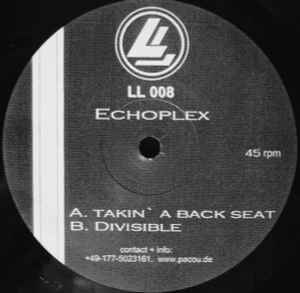 Richie Hawtin gave this record some exposure in his DE9:ce mix (though in the form a of a short snippet), but in fact both sides are worth a careful listen. One side is a quirky, almost glitchy revision of some of the other harder tech records at the time, while the other side is almost a blueprint for the later works of Echoplex: it's a steady, sinewy track, with warm chords as its foundation.